“Welcome everyone. This is an exciting day. First, this is an historic moment: this will be the first time that an AI has even attempted to play the world champions in an esports game. OG is simply on another level relative to other teams we’ve played. So we don’t know what’s going to happen, but win or lose, these will be games to remember. both have beaten good pros privately but no one has seen it it happen live — so if we win, it’ll be a first on that front too. 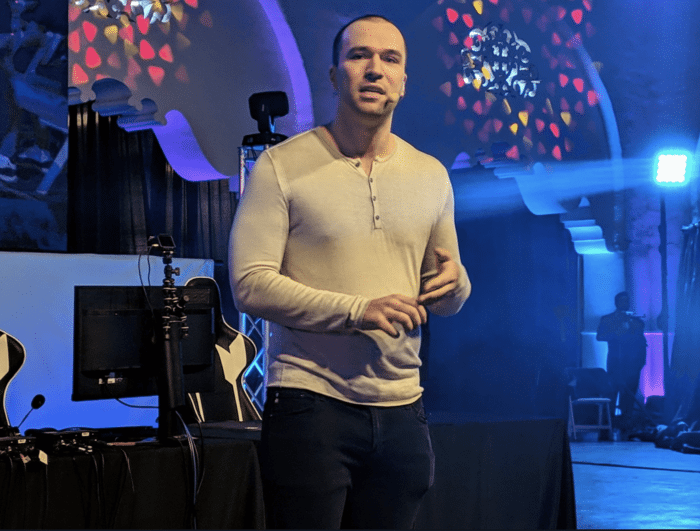 This event is really about something bigger than who wins or loses: letting people connect with the strange, exotic, yet tangible intelligences produced by today’s rapidly progressing AI technology. This post is co-written by Greg Brockman (left) and Ilya Sutskever (right). We’ve been working on OpenAI for the past three years. Our mission is to ensure that artificial general intelligence (AGI) — which we define as automated systems that outperform humans at most economically valuable work — benefits all of humanity. Today we announced a new legal structure for OpenAI, called OpenAI LP, to better pursue this mission — in particular to raise more capital as we attempt to build safe AGI and distribute its benefits. In this post, we’d like to help others understand how we think about this mission. “We’re here to watch humans and AI play Dota, but today’s match will have implications for the world. 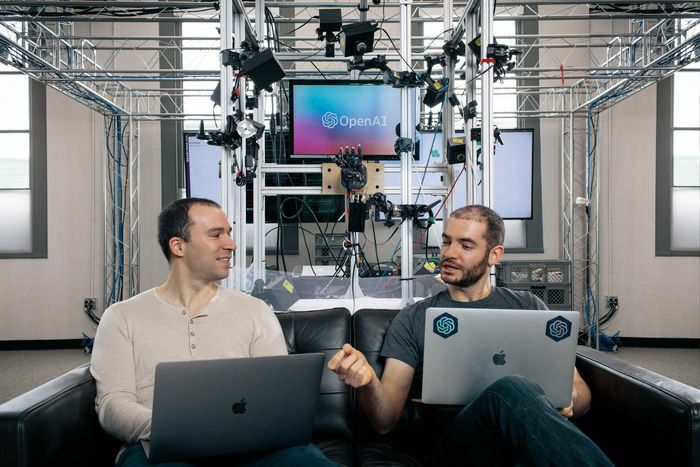 OpenAI’s mission is to ensure that when we can build machines as smart as humans, they will benefit all of humanity. That means both pushing the limits of what’s possible and ensuring future systems are safe and aligned with human values. We work on Dota because it is a great training ground for AI: it is one of the most complicated games, involving teamwork, real time strategy, imperfect information, and an astronomical combinations of heroes and items. It’s been two years since I wrote #define CTO, in which I documented my quest for a role where I could have scalable impact by writing code. I’ve finally found that role, though not by seeking it — instead, I sought out a problem more important to me than my role within it, brought together the right people, and found that I can best make them effective by writing code. In August 2015, OpenAI was just an idea articulated over a dinner with Elon Musk, Sam Altman, Ilya Sutskever, me, and a handful of others. We’d each come to the dinner with our own ideas, but Elon and Sam had a crisp vision of building safe AI in a project dedicated to benefiting humanity. I wanted to contribute however I could. Sam and I started rallying a team to turn this idea into reality. I’ve been advising Stellar since Stripe helped it launch about a year ago. Today I’m joining their board. Digital currencies are still nascent, and my hopes for them remain unchanged. Particularly, we need digital currency protocols like Stellar that work with the existing financial system and focus on a seamless user experience. I’ve always been impressed with Joyce, Jed, and their team’s approach to the space. Stellar is a non-profit entity producing open-source software, with a strong emphasis on financial inclusion. From launch day, they’ve been hyperfocused on the core technology and community. In the past year, they’ve made strong progress, including a provably-correct consensus algorithm (complete with explanatory graphic novel), a redesign and from-scratch implementation of the technology, and the groundwork for a pilot in South Africa. Coding requires collaboration. As Andrew Bosworth said recently: doing anything meaningful past a certain point requires more than one person. So if you want to build, it’s important to do so as part of a welcoming, collaborative environment. One environment I’ve long admired is that of the Recurse Center (formerly known as Hacker School). They’ve been unusually thoughtful about the dynamics of their culture. I’ve always thought that if I had three months to spare, I would attend a batch to experience the community directly (and hopefully contribute back however I can). And, well, now I have that kind of time. The bot then walks the user through linking their Stellar account and extending trust for its +++ currency. Once the trust has been granted, the bot issues a +++ credit. Each subsequent upvote results in another +++ being issued.